SOTN Editor’s Note: Although the ZeroHedge article posted below doesn’t explicitly say so, by reading between the lines it becomes clear that pollsters who work for the “System” are seriously compromised. The primary subject of that prescient piece is pollster and UChicago grad Nate Silver. The UoC is always dead giveaway, particularly for an establishment pollster whose primary function is to fabricate polling data, which can then be easily interpreted to confirm a predicted outcome (one wanted by the establishment, of course). Let’s be real: anyone who receives 6 honorary degrees before the age of 40, is carrying a LOT of water for The Power That Be (TPTB). Having earned a bachelor’s degree from The University of Chicago in 2000, Silver has since been awarded six honorary doctoral degrees: from Ripon College (2013), The New School (2013), The University of Leuven (2013), Amherst College (2014), Georgetown University (2017), and Kenyon College(2018). What more important job is there for the election controllers than to ‘correctly’ predict the winners of the most important elections every two years. By strongly predicting the Deep State favorites, no one is surprised that they’re victorious, even though many of the candidates actually steal the elections; unless it’s stolen for them without their knowledge. 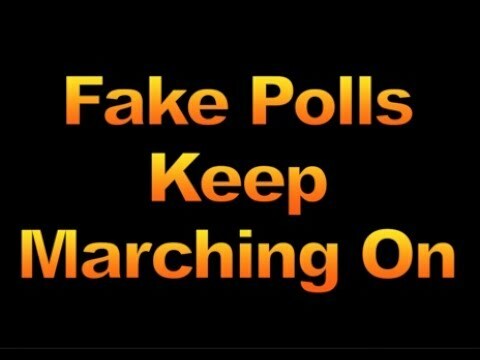 This is why carefully selecting and grooming the right pollsters to perpetrate this biannual election year fraud is critical for TPTB. Who does not know that elections in America, at every level — federal, state, county and municipal — are routinely stolen by those who surreptitiously control the election machinery and voting apparatus? Surely, this has always been the case, but it’s getting much worse with each successive election cycle because of what’s truly at stake. In 2018, the American people have been witness to the most fictitious electoral polling in U.S. history. Not only is much of the polling data totally false, the manufactured election predictions are as cynical as they are absurd. This current state of affairs is exactly why some pollsters are virtually deified by the MSM. For it’s the flaky pollsters who make the political talking heads and major news anchors look good. In other words, all the nonsensical predicting is performed to lend credibility to the completely bogus outcomes being pushed by the CIA’s Mockingbird Media. The perps at the very peak of the pyramid of worldly power really have no choice. The degree of command and control which they wield is a direct function of the pawns and puppets who they install in key political positions around the world. It’s entirely true: the power elite have always run the whole place as if it was their plantation. Some of us are just wealthier slaves than others. N.B. 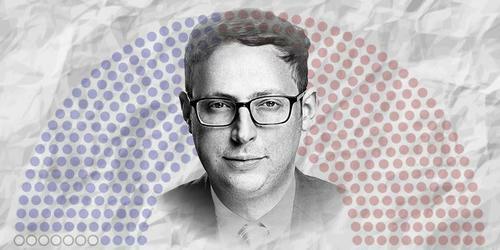 Click on the source link at the bottom of the following article to read the very ‘funny’ tweets by establishment pollster Nate Silver. Voting has opened across the US in what will likely be remembered as the most contentious off-year election in recent history. Already, early voting has seen a massive increase compared with 2014, with the number of early voters climbing more than 50% to a staggering 36 million this cycle. As donors have poured a record $5 billion into the race, the market’s “base case” is that Democrats will wrest back control of the House, while the GOP will pick up a handful of Senate seats and expand its slim 51-49 majority by as many as four votes. Despite the best efforts of grassroots progressives (who have been aided by a heavy turnout among ‘Democratic socialist’ organizers), the polls narrowed significantly in October as Republican candidates eroded the Democrats’ lead. In the latest round of polls, one mainstream pollster (Rasmussen, the same firm that predicted Trump’s victory), notably projected a win for the Republicans. However, while pundits like 538’s Nate Silver have continued to place Democrats’ odds of winning the House at north of 85%, online betting markets are seeing the odds more heavily skewed in the GOP’s favor. Unsurprisingly, some professional pundits, with their egos still bruised from their string of embarrassing failures in 2016, took umbrage at the suggestion that Predictit’s odds might be a better indicator of voters’ sentiment than their sophisticated polling methodology. In response to the tweet above from @BrendanNyhan, Nate Silver unleashed a tired about why Predictit’s numbers are ill-informed and based on the “dumb” impulses of Republican-loving day traders. People with “real money” – ie hedge funds – would never rely on Predictit’s data (because, as even the casual consumer of financial media is no doubt aware, hedge funds have historically been great at generating alpha for their clients). Refusing to let a golden opportunity to poke fun at one of their biggest critics, the people at Predictit on Tuesday sent out an email to customers with the subject line “Nate Silver just called you dumb”. For example, you’ve got the GOP at 58% to win Arizona’s Senate race. Nate is at only 38%. You’re pricing Claire McCaskill at only 39% to keep her Missouri Senate seat. Nate is much more confident at 57%. And, the Democrats to win the House? He thinks it’s nearly a foregone conclusion at 88%. You’re hedging your bets at 72%. So who’s right? We’ll know that later today. In the meantime, are you comfortable being called “dumb”? If not, get back on the site and vote with your money. Or maybe you want to take the advice of an expert and hedge your bets. To be fair, Silver did distinguish himself in 2016 by being one of the only mainstream pollsters to recognize just how poor Hillary Clinton’s odds really were. In a now infamous appearance on ABC on the Sunday before the 2016 vote, Silver declared that Clinton “was just one state away from losing the electoral college.” But the notion that the odds that Democrats will retake the House are a virtual certainty deserves to be viewed with a healthy dose of skepticism.